I have always been a Nokia user but the Asha 302 had disappointed me with its poor battery life. Maybe its time to explore other avenues. 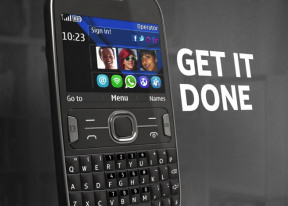 Anyone please tell me.is this phone still available.when i go to a shop they said that Nokia asha 210 is only Nokia phone available with qwerty keypad. AnonD-207097, 10 Dec 2013Which phone is better... Nokia Asha 302 or Nokia Asha 210 ?nokia asha 302 is best c0z it's hv 1 Ghz Super fast pr0cessr. i cant open ovi store and social ? sir i need a mobile with a fast you tube on 2G like nokia x2-01.dearall friends plz suggest me.....bcoz i have seen that there is no support continus youtube n sony xperia..
pls tell me can this phone play flash live clock themes or not? B S CHOUDAHRY, 11 Dec 2013hey i want to buy a keypad phone plz suggest me take asha302 is best phone its camera result is best with 301 megapixel . it net speed it also good . it support mobilink tv . youtube plyer nad many more3. Nokia Asha 302 or Nokia Asha 210 ?